Gallagher v. Baltimore Washington Medical Center, et. al (filed January 7, 2016): This is a hospital bed sore case in Baltimore City. Plaintiff develops a bed sore during a five-month hospital stay. Bed sore gets progressively worse, becomes infected, will require further treatment. Plaintiff files negligence and loss of consortium claims. This case was filed just before the statute of limitations without an expert report. Bern v. Holy Cross Health (filed January 7, 2016): This is a sepsis emergency room medical malpractice case in Montgomery County. Man dies in hospital after it fails to properly diagnose and treat him. Wrongful death and survival actions are initiated by the man’s family. Silver v. OrthoMaryland (filed January 7, 2016): This is a surgical malpractice lawsuit in Baltimore City. An OrthoMaryland doctor cuts Plaintiff’s popliteal artery during knee surgery. Plaintiff suffers permanent nerve damage in his leg. King v. Suburban Orthopedics (January 7, 2016): This is a surgical malpractice lawsuit in Prince George’s County. Suburban Orthopedics’ doctor errs in performing knee replacement on Plaintiff by failing to attach the femoral component of Plaintiff’s knee. Plaintiff is in pain for several months before the error is discovered and he can undergo revision surgery. Tarleton v. Glen Burnie Health and Rehabilitation Center (Filed January 7, 2016): This is a nursing home slip and fall case in Anne Arundel County. An elderly man, lacking proper supervision, falls and breaks his hip. He dies a week later. The man’s son filed a survival action and a wrongful death lawsuit. Whitehead v. Medstar Southern Maryland Hospital, Inc. (January 7, 2016): This is a hospital bed sore case in Prince George’s County. The woman is a patient at MedStar Southern Maryland Hospital for more than six months during which time she develops pressure ulcer which becomes infected. Woman dies from sepsis three months after her release from the hospital. The woman’s husband filed medical negligence, wrongful death, and loss of consortium lawsuits. Chaplin v. University of Maryland Medical System (January 8, 2016): This is a surgical malpractice lawsuit in Prince George’s County. A woman goes to University of Maryland Medical System’s Transplant Center in Baltimore for a kidney transplant and is given a deficient kidney. Woman files several claims against the hospital related to the surgery. Messersmith v. Consulate Health Care (January 11, 2016): This is a nursing home wrongful death case in Baltimore County. The woman is admitted to Envoy, which fails to properly diagnose and treat her UTI. Woman dies of sepsis in hospice care shortly after leaving Envoy’s care. The woman’s daughters filed medical malpractice, wrongful death, and survival claims. Hanlon v. Anonymous Doctor (Filed January 11, 2016): This is a cancer misdiagnosis lawsuit in Howard County. For years, the doctor treats lesion on cheek with liquid nitrogen rather than having it biopsied, which would have revealed that it was cancerous. Plaintiff is then forced to undergo some painful and expensive surgeries over the next two years. Renner v. Good Samaritan Nursing Center, Inc. (January 12, 2016): This is a nursing home bed sore case in Baltimore City. Nursing home fails to take proper measures to ensure that man does not develop bed sores. The man’s bed sores keep him in an assisted living facility for nine months before his death. Arbogast v. GBMC (January 12, 2016): This is a surgical error case in Baltimore County. A 65-year-old woman has surgery at Greater Baltimore Medical Center during which her doctor misplaces a screw in her back. The doctor does not reveal that screw has been misplaced. The woman’s symptoms return and she is forced to undergo multiple corrective surgeries. Eichelberger v. Emerge, Inc. (January 12, 2016): This is a nursing home slip and fall case in Baltimore City. An intellectually disabled man is a fall risk. Nursing home fails to take proper measures to ensure that the man does not fall. The man suffers various injuries from numerous falls. His guardian files a claim on his behalf. Clay v. National Pain and Spine Centers (January 13, 2016): This is a medical malpractice case in Prince George’s County. Despite the relief Plaintiff is receiving from periodic injections in his lower back, the doctor recommends surgery. 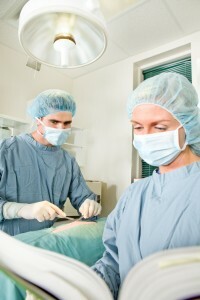 The doctor does not obtain informed consent from Plaintiff indicating the risks of the procedure. The doctor incorrectly performs the surgery causing injuries to Plaintiff. Moore v. Anne Arundel Medical Center, Inc. (January 13, 2016): This is a birth injury case in Anne Arundel County. Pregnant woman exhibits symptoms which would lead a prudent doctor to perform an immediate cesarean delivery. Nurses repeatedly fail to properly monitor the baby’s condition and the doctor repeatedly delays the delivery before finally inducing a natural birth. The baby is born blind and severely brain damaged. 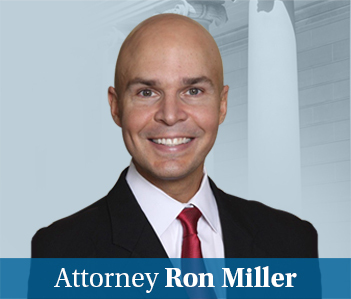 Lynn v. Dentist and Periodontist (January 13, 2016): This is a dental malpractice case in Howard County. Plaintiff has a deeply impacted wisdom tooth she needs removed. Plaintiff’s dentist refers her to a periodontist. Both the dentist and the periodontist should have referred Plaintiff to an oral surgeon, who would have been better equipped to deal with the deeply impacted tooth. Instead, the periodontist performs laser therapy on Plaintiff and in the process injures her lingual nerve. Butler v. DaVita Healthcare Partners, Inc (January 14, 2016): This is a medical malpractice case, involving kidney care, in Prince George’s County. A woman has a graft inserted into her arm to perform dialysis. The condition of the graft begins to deteriorate after some years. The Defendant fails to monitor and properly treat the woman’s graft, causing her to bleed to death. Mora v. Primary Care Doctor (January 14, 2016): This is a heart attack misdiagnosis case in Prince George’s County. A man shows all of the classic symptoms of a blockage that could lead to a heart attack. The defendant doctor fails to recognize these symptoms and appropriately treat the man. He dies three weeks after leaving the Defendant doctor’s office. The man’s family alleges that a reasonable and prudent primary care doctor would have recognized the symptoms of coronary artery disease and referred him to a cardiologist. Ballard v. Aurora Senior Living of Manokin, LLC (January 15, 2016): This is a nursing home fall case in Somerset County. A woman needs help walking to the restroom. She hits the call button beside her bed, but no one responds. When the woman makes her way to the bathroom alone, she slips and falls. She undergoes hip surgery at the hospital and continues to experience pain in her hip to this day.